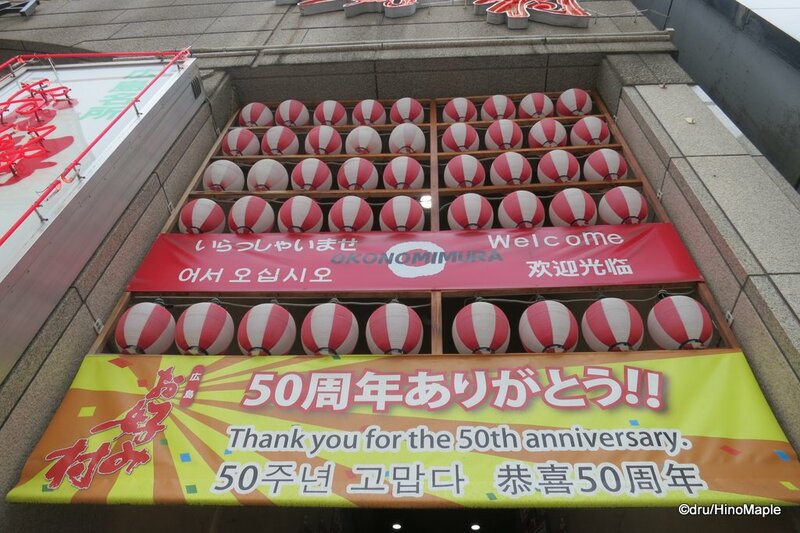 Okonomimura is THE tourist trap of Hiroshima. 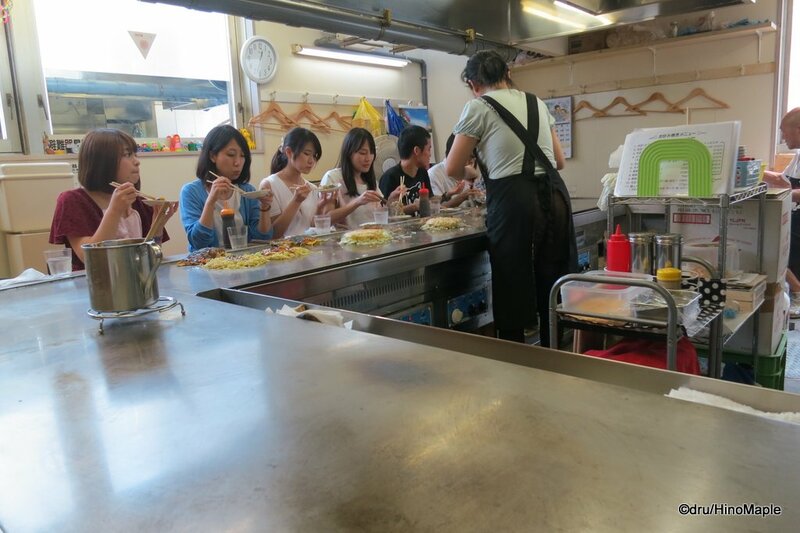 It is where everyone goes to get “good” okonomiyaki. I had never been there because I always thought of it as a tourist trap and now that I have been there, I tend to agree. Okonomimura is a tall building located behind the Parco department store. A lot of people are there to just eat okonomiyaki and each floor has about a dozen or so different shops. There are so many shops that you just can’t choose between them. I started off on the second floor and just kept going up and up. The top floor is the 4th floor and all of the floors look the same. 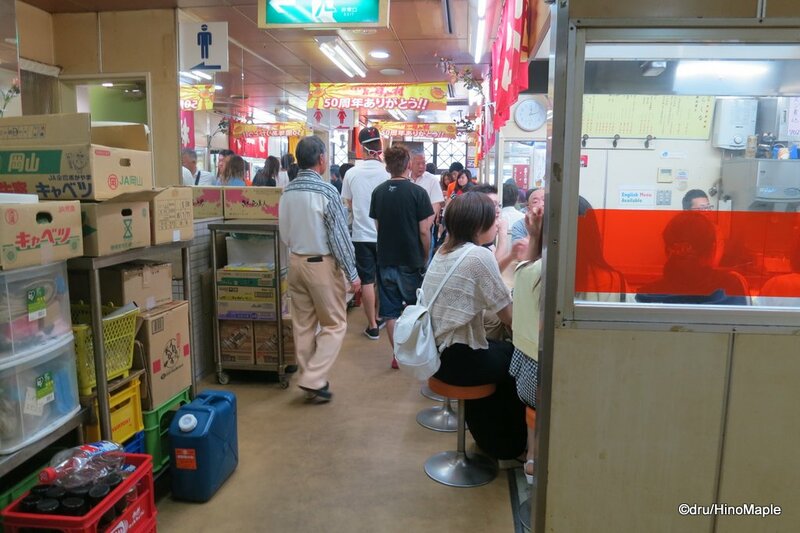 The shops that looked good were full and the other shops had people calling you and telling you that you are welcome to have a seat and get some okonomiyaki. It was a little off putting, and since I was a bit hung over and sad because Japan lost their opening game in the World Cup series, I wasn’t really in the mood for such pushy people. We finally settled on a shop in the corner of the 4th floor. If you get to the 4th floor by the steps, just turn left and it is the last shop on the right. I finally decided to go to Keichan/Echan. Going to Keichan/Echan was pretty standard. 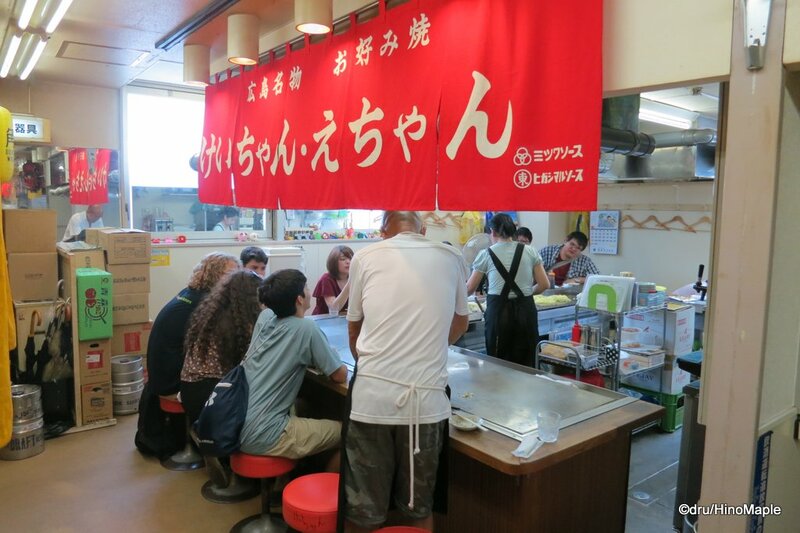 The shop seemed like a family business with just one middle aged woman manning the teppan. An old man was also helping out with a couple kids on the side. Being a Saturday, the kids probably didn’t have anywhere else to go. I’m not sure how the family was but the kids seemed happy enough. The service was basic but what do you expect from a tourist place or a busy place. It wasn’t too busy but there were a few groups there. When I sat down, there was a large group of young Japanese people, just a hodgepodge group of kids. They ranged from a small little guy to a big fat guy and a bunch of girls in between. It was fun to watch them and see them interact with each other. Almost like watching a group date, but the girls and guys were completely separate from each other. As I was finishing up, a group of foreigners came in. I assume they were JETs just based on what they were talking about. One of them was kind of helping them out but since there were so many of them they split up into 2 groups. They didn’t have many problems with it though and there was an English menu. When I am in Hiroshima, I always go to Henkutsuya because I love going there. The quality is pretty good and the service is decent. Okonomimura isn’t a terrible place but I’m not sure I would go back again. I would try to find a better place next time I go there. 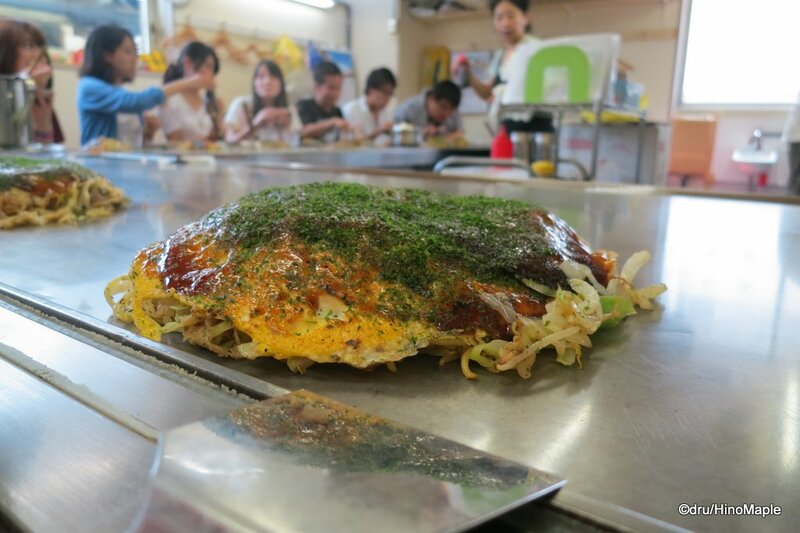 This entry was posted in Chugoku Food and tagged Hiroshima, Hiroshimayaki, japan, Keichan/Echan, Okonomimura, Okonomiyaki by Dru. Bookmark the permalink.